Pulse Regeneration has been appointed by Trafford Council to deliver the Third Sector Infrastructure Development and Support Service contract. The aim of the Infrastructure Service is to assist Trafford Council and the Trafford Partnership in delivering the Trafford-Third-Sector-Strategy and to achieve their vision of a thriving Third Sector. We are introducing a more enterprising culture to the third sector in Trafford, supporting the development of social enterprises, community asset transfer, public sector contracting; and fostering greater collaboration between organisations and approaches which respond to new initiatives and enable the development of original solutions to the design of future services. 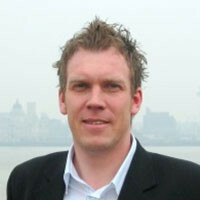 Chris Hart, Managing Director of Pulse Regeneration Limited is a recognised social entrepreneur and experienced community regeneration practitioner. Chris established Pulse Regeneration in 2001 with the vision to improve quality of life by creating self-sustaining communities. Chris is the former Chief Executive of the Eldonian Group Limited in Liverpool, a nationally recognised model of best practice employing over 150 people mainly from the local community, the development of over 400 community owned homes, and having won World Habitat Award status. Chris’s role also included the development and management of social enterprises, including a day nursery, community sports centre, village hall, managed workspace, care home, neighbourhood wardens and a joint venture property company. Chris has acted as voluntary Chair of the Anfield Breckfield Community Partnership; is a Non-Executive Board Director for Accent Regeneration & Community Partnerships; and has previously acted as Chair of the Development Trusts Association (now Locality) North West having also served on the Board nationally. Chris is the Contract Manager for Thrive Trafford and has an overview of the six delivery themes, including developing the model for Third Sector Representation, and liaises directly with the Trafford Partnership and Trafford Council, including as a member of the Strong Communities Board and South Locality Partnership. 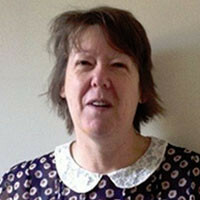 Bernadette Elder is the Third Sector Support Consultant for Thrive Trafford delivering capacity building and funding support with organisations. Bernadette has over 13 years’ experience of working with communities supporting individuals to come together to generate positive action including developing neighbourhood action plans, programmes of learning, and implementation of small grant schemes. Bernadette was the Community Development Manager for the award winning New Deal for Communities (NDC) Regeneration Programme in Salford, where her priority was to ensure community organisations would be sustainable post NDC funding, working with Pulse Regeneration on a programme of Third Sector support. In April 2011 Bernadette took up the role of Coordinator for Inspiring Communities Together in Salford. Current work includes offering a volunteer qualification, setting up Community Forums, acting as community partner for Community First funding, support local residents to have a voice using social media and a community newsletter. Bernadette delivers the capacity building for organisations in Trafford, including supporting groups through the Trafford Quality Mark and the Small Groups Healthcheck. For further information about the partners please click the logos below.